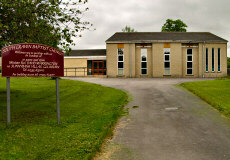 Mothers Union meets 3rd Tuesday of every month at 2pm in the Community Centre, North Street. Contact Secretary: Mrs Christine Teasdale (Tel: 01535 631486). Choir meets Mondays at 7.00pm in church. Contact John Sandland (01535 657141). (C4C) Contact Tracey Haines (01535 637425). Sequence Dancing Tea Dances - run by members of the Church every Thursday from 1.45pm till 3.45pm in the Village Hall. Anne Sollberger (01535 634116) (email: johnsollberger464@btinternet.com). and a Facebook page "South Craven Baptist Church"
For all Church enquiries please contact the Interim Minister Revd Rob Harris (01535 523977 or 07947 609280). 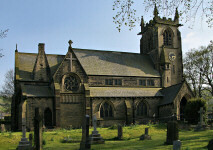 For more information on the Fellowship of Churches please contact Revd Rob Harris (01535 523977 or 07947 609280).